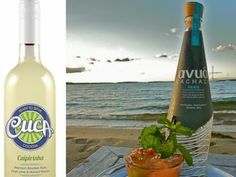 Our Cuca Fresca Ouro is a premium gold cachaça that has been aged for four years in Jequitiba, a native Brazilian wood. This aging imparts a unique complexity that makes Cuca Fresca Ouro perfect for sipping neat or on the rocks. It is also perfect for ultra-premium cocktails. Golden straw green color. Sweet spicy baked banana, suede, earthy mint, and creme brulee aromas follow through to a dryish silky medium-to-full body with nice toasted banana bread and mineral accents. Finishes with a peppery, banana, nutmeg, toasted almond and pepper fade. Nice purity and spice.